THIS SIZE IS CURRENTLY OUT OF STOCK DO YOU WANT TO BE NOTIFIED WHEN IT IS AVAILABLE? 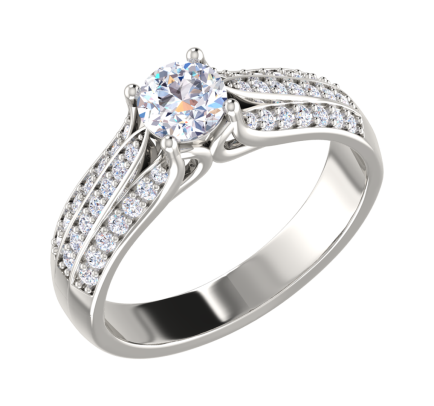 This exquisite ring has minimalistis touch in modern design with round cut diamonds embellished in it and solitaire taking a center stage. We appreciate your inquiry about the product. One of our colleagues will get back to you shortly.